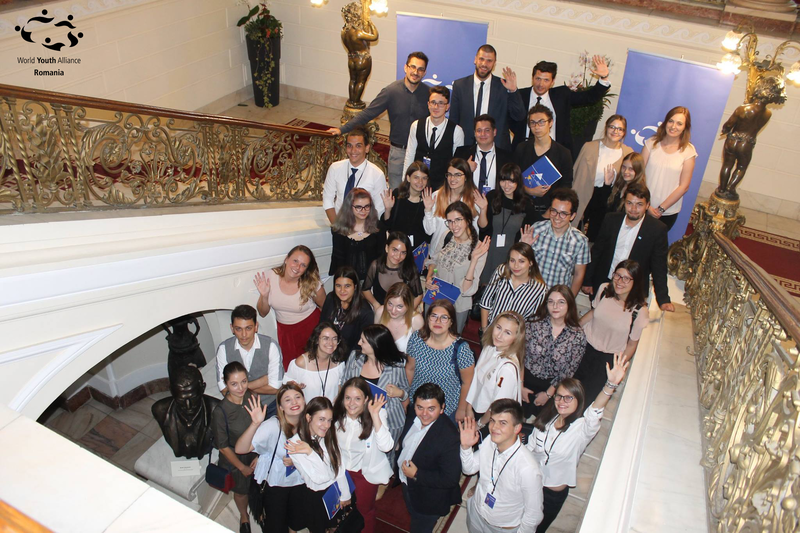 On July 29, 2018, World Youth Alliance (WYA) Romania Chapter held the official opening ceremony of the “Romania 2019: Presidency of the EU Council” conference. 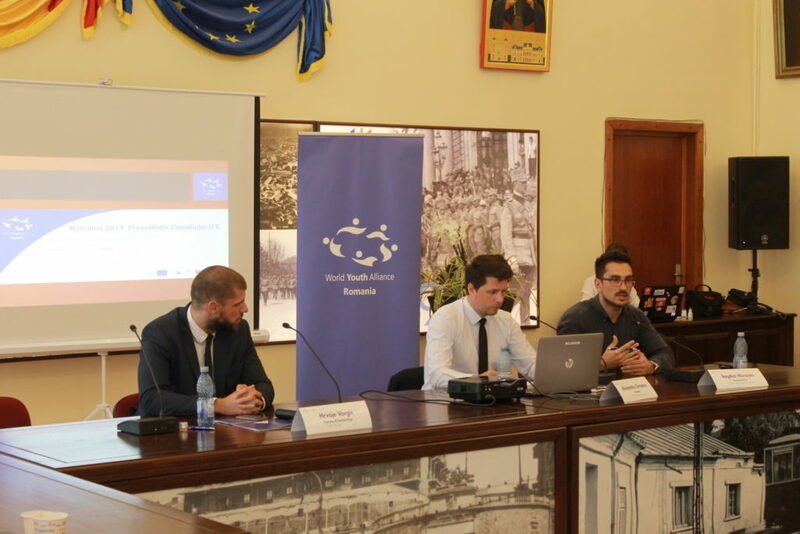 Among the speakers were WYA Europe Director of Partnerships, Hrvoje Vargic, representative of European Institute of Romania, Bogdan Mureșan and the President of World Youth Alliance Romania Chapter, Alexandru Grozavu. 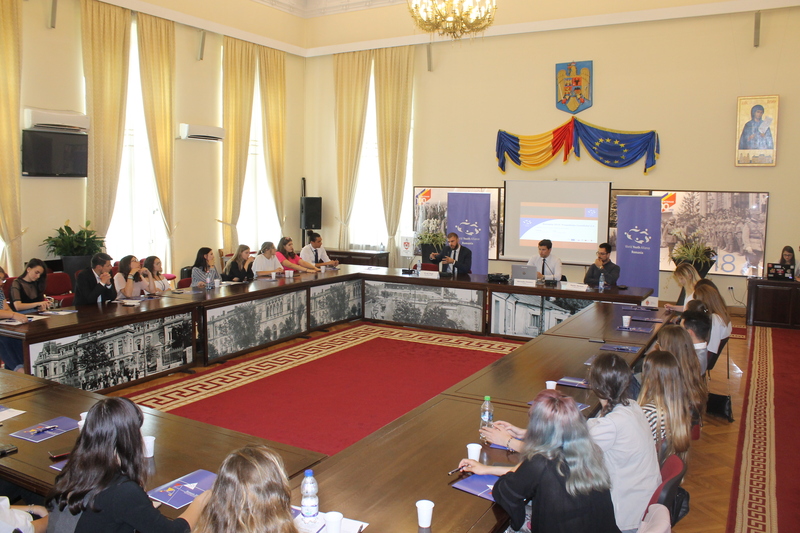 The first part of the conference was dedicated to the plans of a new WYA Chapter in Romania, some facts about its founding, strategy, and vision. Alexandru Grozavu, WYA Romania Chapter President, explained the plans for the future and the values WYA stands for. The Chapter is starting from the City of Iași, but there are plans to already expand to Cluj at the end of this year, and to Constanza and Bucharest in 2019. “WYA Romania is founded for you to have the necessary tools for change, and that is why we have to use them in our advantage”, said Alexandru Grozavu. The second part of the conference was the panel which discussed two main topics: Brexit and its effects on the rights of immigrants within UK, and European elections: Youth involvement and engagement in the electoral process. In this context, WYA Europe Director of Partnerships, Hrvoje Vargic highlighted the possibilities which WYA offers to the youth in shaping European policies in accordance with WYA’s mission and values. Within these two panels, the Q&A session was included, from which some of the topics discussed were: how can youth get correct political information in order to vote correctly, how can EU encourage and support youth to speak their minds and take action at the European level, what are the roots of national and European identity and how to achieve democratic accountability. The occasion of the Chapter opening was also used to organize a week-long Training of Trainers session for the members of WYA Romania. Ana Antunović, WYA Europe Regional Fundraising Manager trained the members in grant writing and management of EU grants. Hrvoje Vargić gave the training for the future trainers of WYA’s Certified Training Program (CTP) and Human Dignity Curriculum (HDC), as well as training on Advocacy, Chapter Management and Public Communications. “We are very happy to see the developments in Romania. The members here are deeply rooted in the values WYA stands for and have experience in working with youth for several years now. This makes us confident that we will see a strong WYA presence in Romania in the near future”, said Hrvoje Vargić. To learn more about the future activities of WYA Romania Chapter, please visit the Chapters Facebook page.